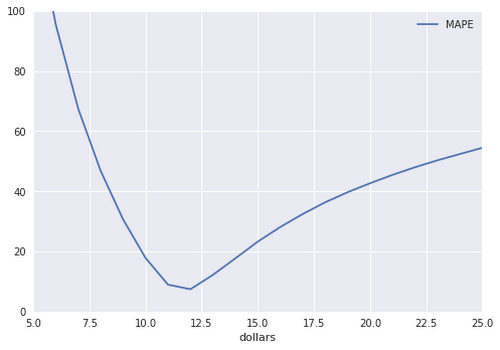 In this article, I’ll walk you through the process of building a machine learning model using BigQuery ML. As a bonus, we’ll have the chance to use BigQuery’s support for spatial functions. We’ll use the New York City taxicab dataset, with the goal of predicting taxi fare, given both pick-up and drop-off locations for each ride — imagine that we are designing a trip planner. taxitrips does the bulk of the extraction for the NYC dataset, with the SELECT containing my training features and label. The WHERE removes data that I don’t want to train on. I define a variable called TRAIN so that I can quickly build an independent EVAL set. Note that BigQuery will automatically split the TRAIN data into two parts, and use one part of the training dataset to do things like early stopping and learning rate exploration. I am creating an independent evaluation dataset that I will not show to BigQuery during training. CREATE model is a safe way to ensure that you don’t overwrite existing models. CREATE or REPLACE will … replace existing models. I specify my model type. Use linear_reg for regression problems and logistic_reg for classification problems. I specify that the total_fare column is the label. I ask that model training stop when the improvement is < 0.5% (this is optional, but shows you how to specify any optional parameters). Running the query takes about 5 minutes on the 1-million row training dataset. 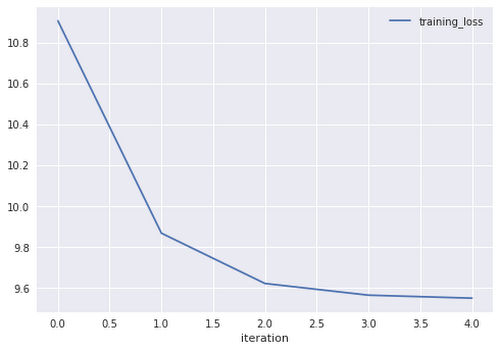 Pause for a minute and take that in: it only takes 5 minutes to train an ML model on 1 million rows! The important idea here is that you run ML.PREDICT to pass in the trained model, and then issue a select statement consisting of the rows on which you want to evaluate. Since my label is called ‘total_amount’, ML.PREDICT will provide me a ‘predicted_total_amount’. I can use that to compute the RMSE. 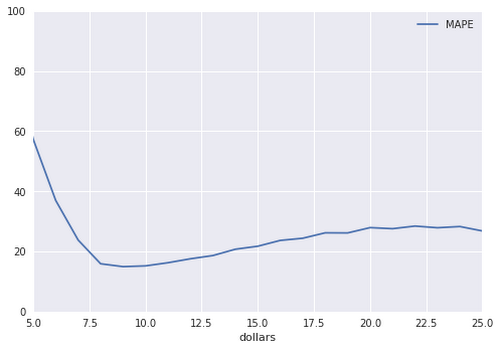 In this case, my model returns a RMSE of $9.57. Can we do better? As you can see, we have serious problems, because our error increases quadratically on either side of the mean. This step takes the geographic point corresponding to the pickup point and grids to a 0.1-degree-latitude/longitude grid (approximately 8km x 11km in New York—we should experiment with finer resolution grids as well). Then, it concatenates the pickup and dropoff grid points to learn “corrections” beyond the Euclidean distance associated with pairs of pickup and dropoff locations. Notice also that I have greatly expanded the WHERE clause to limit the data to taxi-trips — data cleanup is very important! The new model achieves a RMSE of $5.08, dropping the error by nearly 40%! Here is the training query and here is the evaluation query. 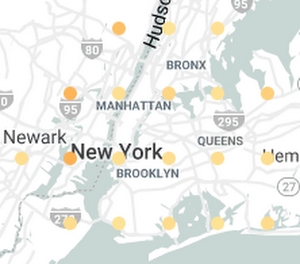 The larger errors correspond to out-of-town trips to Westchester and Jersey. It appears that such trips incur surcharges that the model hasn’t learned.